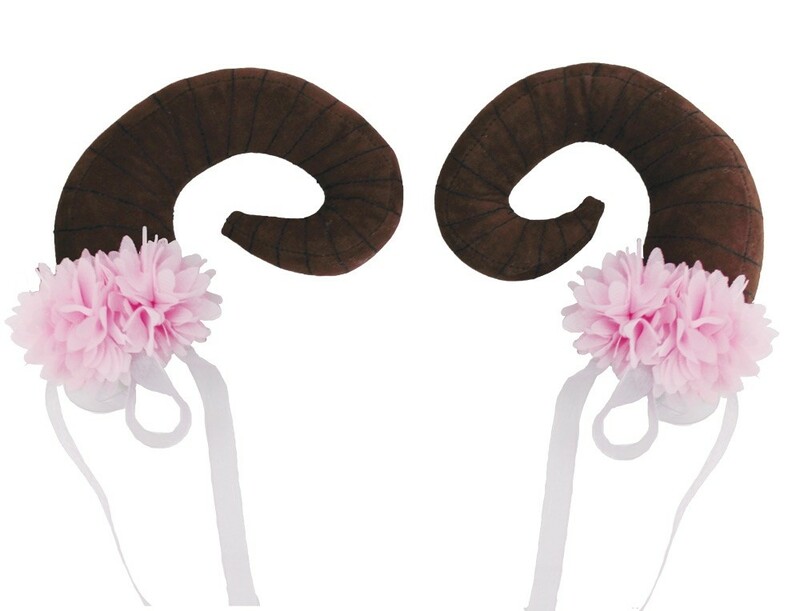 A great accessory for your fairy nymph or goddess cosplays! 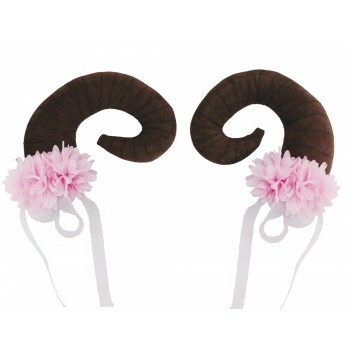 Faux-suede polyfill nymph horn pair with delicate pink flowers at the base have sheer ribbon bows with 9in ribbon dangles. 2in alligator clips allow for a secure hold. Horns are approximately 3in tall and have a 4in width. Approximately 1.5in wide at the base. One size fits all.